We contacted Accounting in Arizona for help and advise with creating a hospital analysis for our practice and being able to diversify between our three departments. Having a mixed animal practice it has been difficult to see how each department was doing and if we needed to make any changes such as personnel, equipment etc. Accounting in Arizona was able to train us on how to “classify” each of our jobs so we can look and see where all of our expenses, cost of goods sold, and income is coming from and going to. 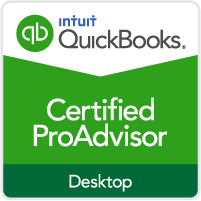 We have been using Quickbooks for years but we never really understood what all it could do for us. It has been a great help for our monthly financial meeting, they are now straight forward and the reports are easy to understand! They have given us the tools and knowledge to better understand our practice and how we can improve. 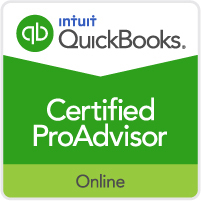 We would highly recommend Accounting in Arizona for all your accounting and Quickbook needs. – Krystal W.
Four years ago I opened a small construction company. I realized quickly I needed to find someone to do my bookkeeping as I know construction not accounting. I initially was using a local much more expensive CPA. I have known Bill and his staff for over 20 years and when he started his own company, I transferred all of my bookkeeping/payroll to Accounting in Arizona. In a very short time, I was quickly at peace that my accounting needs were being taken care of and that is good for our business, my employees and most importantly my family. In addition to doing our bookkeeping, they have helped save us money and make the right decisions for my business. –Joe D.